The Twinns were an experiment to genetically manipulate a pair of identical chairs. They are what George Simmel would call “strangers”, carrying the dichotomy of both nearness and remoteness, objecting to precedent and abiding by they’re own laws. The Twins still carry chair-like qualities or gestures. However, neither of those moments are familiar or instinctual, The excessiveness of its formal characteristics blurs the one-to-one correlation of form and use, opening up for emergent interpretations and possibilities. 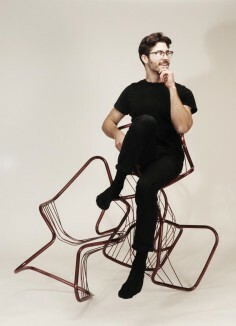 This was not merely a test of mutating a chair, but rather mutating the act of sitting altogether.